It is Speedy Tuesday! Remember our feature on the Speedmaster Quartz LCD of one of our readers? Click here to read it in case you missed it or want to refresh your memory. Last week, we received pictures of this round Speedmaster Quartz LCD of one of our readers. 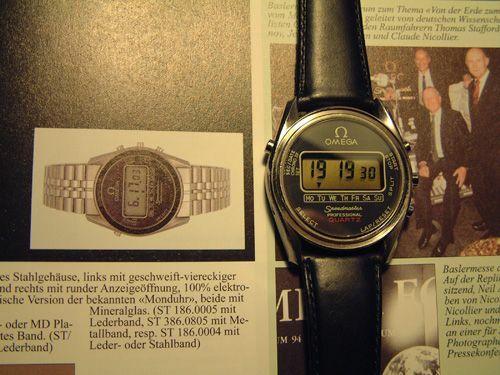 The Speedmaster Quartz LCD was available in two flavours in the 1970s, a square shaped model and a round model. 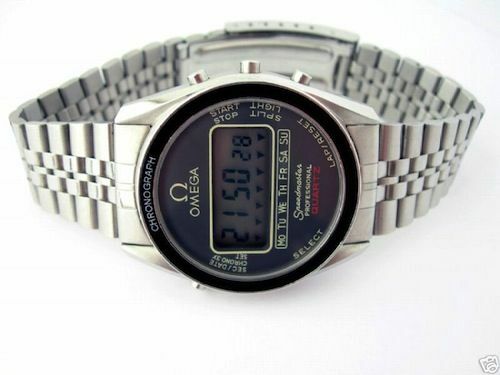 Both feature the quartz Omega caliber 1620 movement. Perhaps – if you are a Speedmaster connoisseur – you already noticed something is not correct on the Speedmaster above. 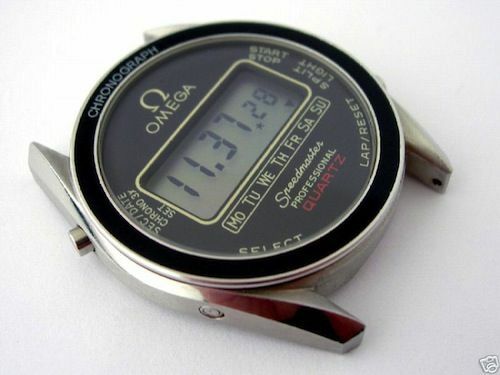 It lacks a black bezel and also the word ‘Light’ that should be below ‘Spit’ is missing. Either someone has been really enthusiastic in touching the dial or it is a misprint. We guess it is the first (unfortunately). Below an example of a proper Speedmaster Quartz LCD configuration of the same reference number. If you are able to help our reader out, a fellow Speedmaster enthusiast, please let us know by using our contact form. We would be more than happy to pass on any help that is being offered. Next week, we’ve a X-Mas Speedy Tuesday! We have found a pretty rare Speedmaster to celebrate just that!